Are you looking for Windows Live Messenger and MSN fixes? This is right place for you! Can't see a newly added contact? 1.) Exit Messenger completely (this means right clicking the Messenger tray icon and choosing Exit). 3.) Once there, you must remove the following subkeys:for Messenger 8.0: Policiesfor Messenger 8.1: Shared4. 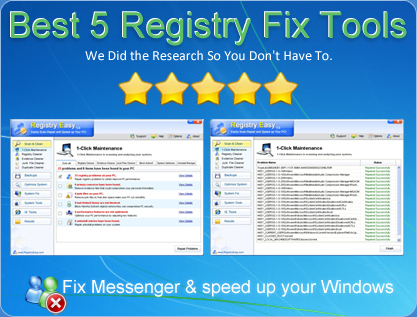 Close your registry editor and restart Messenger. Thank you for your help that fixed my problem . This solution doesn't work for me, whenever i enter the registry HKCU\Software\Microsoft\WindowsLive\CommunicationsClient and delete the folder "Shared" it just keeps coming back and I still have the same problem. This solution does not work for me either, the shared folder keeps coming back, and does not fix any of my problems with adding contacts. This is extremely annoying!! anyone have any idea to this solution? This didn't work for me either. MSN will not add any @msn.com contacts, it adds them for less then a second before deleting them without even asking me about it. Please, there must be a fix for this. i've added a contact and they have added me but neither of us are showing up as online!! and neither of us have received a confirmation. "you have previously added a contact using this instant messaging adress. A contact's instant messaging adress must be unique"
i just made the comment above and this pther contact who has tried adding me is receiving this msg?! helppp!! can someone just fix the problem, jeez its really annoying having people adding u and yet u cant talk to them. - really really annoying tbqh!!!! it still won't work!! this is so annoying. I have a problem I can't add contact at msn! When I add contact he can't get a invitations! i have the same problem, everyone i add doesnt get the invite and visa versa, ive tryed everything and its now becoming a major problem. any help would be useful. i have the newes version of msn. if i want to add a contact it says the contactlist is full i have only 330 contacts, what should i do ? i tried the way with regedit but it wont work ??? All I got was a billions and billions of files that doesn't say ANYTHING about the files/programs or whatever to into.